It’s a New Year; why not make it a new office, too? Window coverings are one of the most important things to consider when re-styling or reconfiguring your office space. It’s important to have an office that is not only styled to your workers’ satisfaction, but also tailored to impress clients and visitors that may pass through. And not only that – offices can be hectic places. So it’s important to consider the safety features and insulation requirements necessary to make sure everyone in your office stays healthy, happy, and productive! Here are a few tips to consider. Your office space is a reflection of the culture of your workplace, so it’s important to consider what kind of look you’re going for or the kind of impression you intend to create. Vogue Shutters are a great choice for decorating an office. Not only can the slats be angled and adjusted to control the level of light coming in, but they can completely slide sideways when you don’t want the window obscured at all. Imagine you have a terrific office view and you want it on show when the sun comes out; Vogue shutters can be moved sideways to unveil the whole vivid picture! If you don’t want anyone peering into your office at night, they can be closed completely to eliminate all visibility. Aluminium Shutters are the pinnacle of durability and practicality. They won’t be weathered by the sun or elements, and can withstand the toll that heavy and frequent office use might put upon them. Our range of shutters consists of four painted colours in a high UV powder-coated finish that won’t chip or fade over time and can withstand the harsh, Queensland sun. Our shutters come in colours such as Pearl White, White Birch, Precious Silver, and Black – meaning they can perfectly complement your home living space or your office. Aluminium Shutters can also be fitted with security systems to add an extra level of protection to your office space. Motorised Roller Blinds can save a lot of time and hassle when you’re running a busy office. Motorised Roller Blinds can be set to automatically open and shut throughout the day – letting in the perfect amount of sunlight that corresponds to your office space’s natural lighting. This means that workers can focus on their work and not have to constantly get up to adjust the blinds to suit their lighting needs. 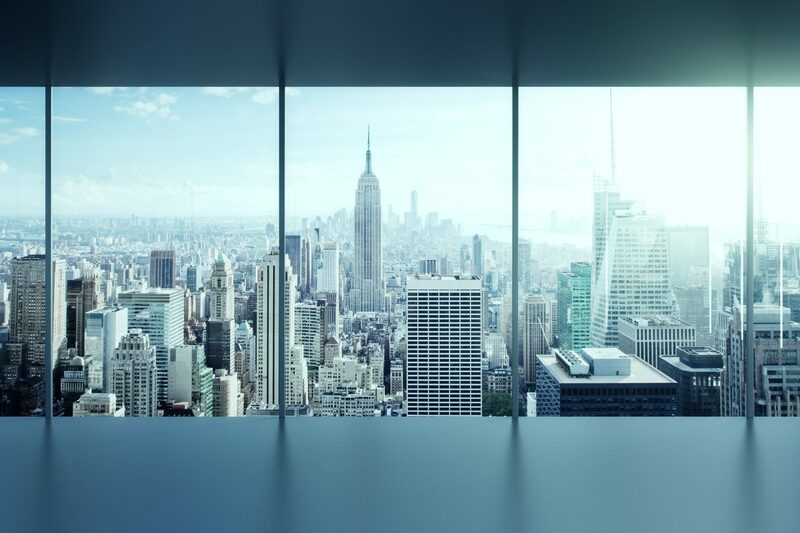 So many modern office spaces put emphasis on open-plans, free movement, and natural light – and developments in glass technology means that windows are larger and more variable than ever before. It’s important to make sure your window coverings have good insulating properties. Blockout blinds provide great insulation, blocking out light and keeping heat from escaping. If you have a large window that is directly exposed to heavy sunlight – this is the right choice. Alternatively, blinds made from a translucent or sheer material might be ideal – letting in light while deflecting the direct rays of the sun. These tips are just for starters! Keep up to date with our blog for the latest window covering news, or contact our friendly team today for a no-obligation quote!